Match2blue, a leading mobile technology developer has for the first time presented as this year’s Wearable Technologies Conference in San Francisco that concluded last week, with its innovative ambiotex prototype t-shirt for fitness, lifestyle and health sector. The shirt, which was developed in collaboration with the Fraunhofer Institute for Integrated Circuits (IIS), measures vital parameters such as pulse rate, breathing, heart-rate variability (HRV), calorie consumption and physical activity in real time and will appear on the market in October. By providing precise measurements of the user’s heart-rate variability (HRV), breathing rate, performance and stress levels, ambiotex is said to help athletes to plan and optimise their daily training sessions and can also be used by people suffering from sleep disorders and other symptoms of stress. The readings which the shirt collects can be displayed in real time on a smartphone or tablet. The user-friendly presentation of the data permits an immediate analysis of current stress and fitness levels, the manufacturer reports. The shirt is close-fitting and can be worn comfortably under normal clothes, according to the company. Integrated sensors provide a precise ECG of cardiac activity and monitor the depth of breathing. 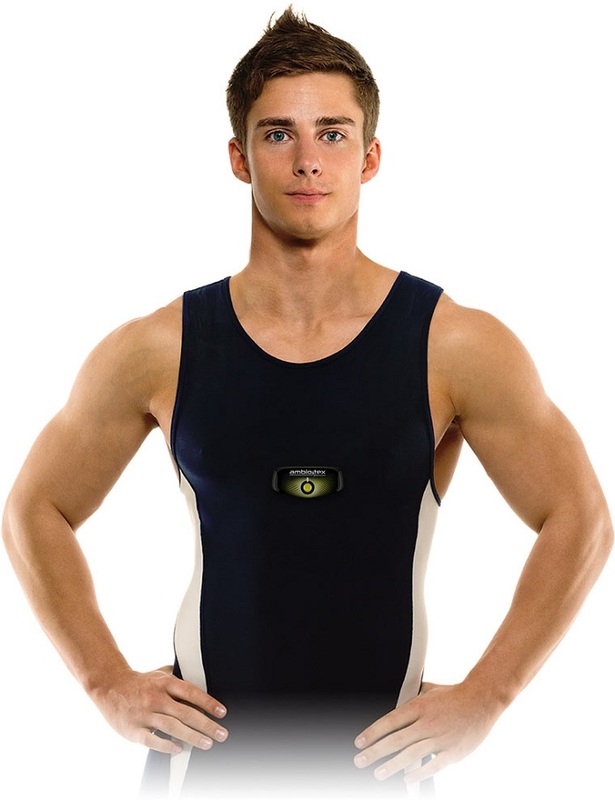 A removable ‘tech unit’ in the chest area, which attaches magnetically to the outside of the shirt, transmits the readings directly to the ambiotex app on the user’s smart phone. The app displays and analyses the data and, via GPS tracking, monitors physical activity and calorie consumption. Other features include an integrated fall detection and alarm function which automatically alerts designated contacts that the user is in need of assistance. In emergency situations such as muggings or mountain bike accidents, the alarm can be raised instantly at the touch of a button, with the user’s precise geographical location automatically transmitted at the same time. 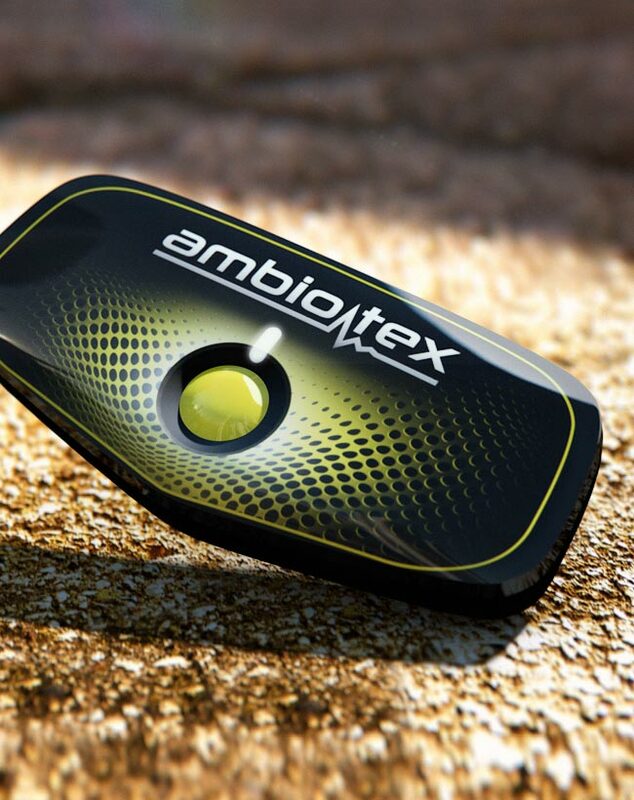 Ambiotex is a pioneer in the field of wearable technologies. Working in collaboration with the Fraunhofer Institute, the company specialises in the research and development of innovative fitness, lifestyle and health products. The company believes it is a market which is forecast to grow at double-digit rates in the next few years. The goal of the Mainz based company is to encourage users to adopt a lifestyle of health and vitality.